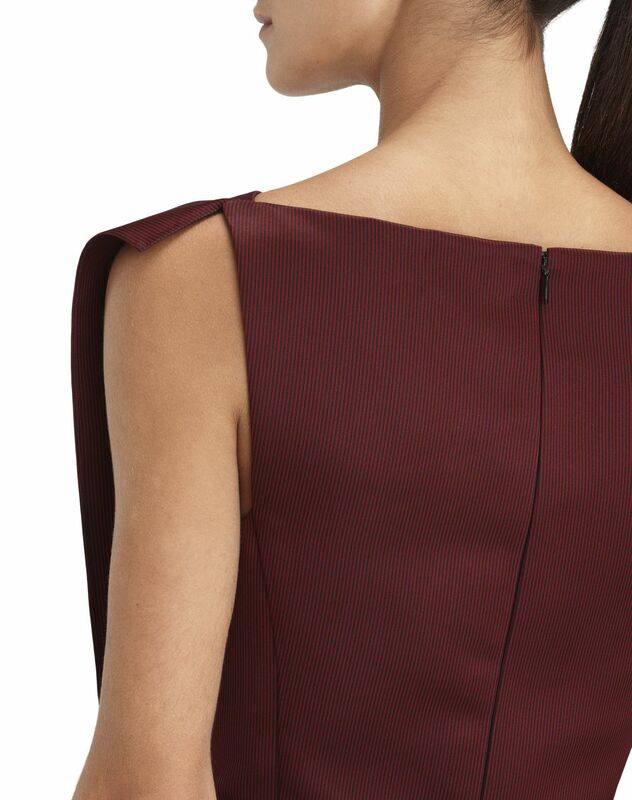 Mid-length sleeveless dress in garnet striped silk leather satin, boat neck, cinched waist, asymmetrical ruffles, and invisible closure on the back. 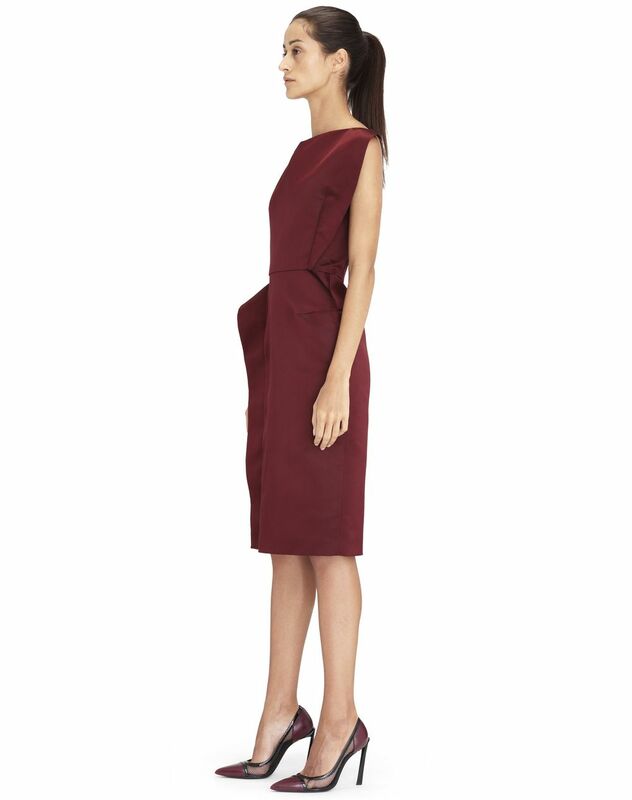 This mid-length dress makes a statement with a garnet color subtly enhanced by thin black stripes, a mix of asymmetrical ruffles, and a cinched waist. 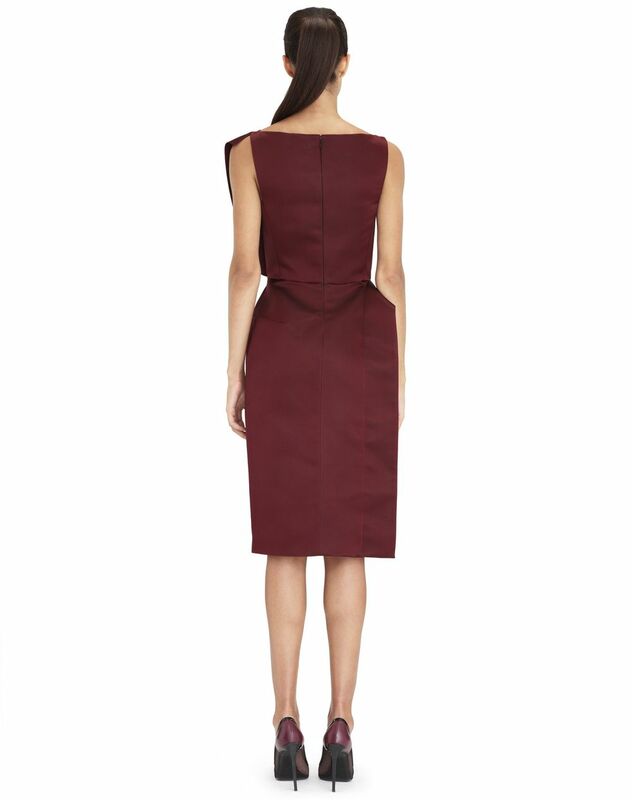 This feminine design enhances women’s curves and provides modern, dynamic flair. 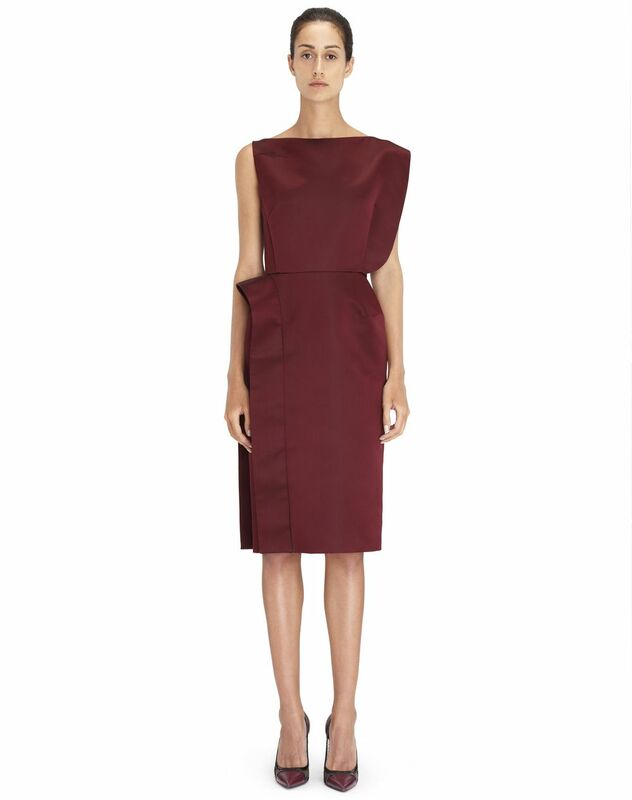 Perfect for the daytime or even a cocktail party, this leather satin dress stands out as a must-have from the Winter 2018 Pre-Collection. Main material: 100% silk weave. 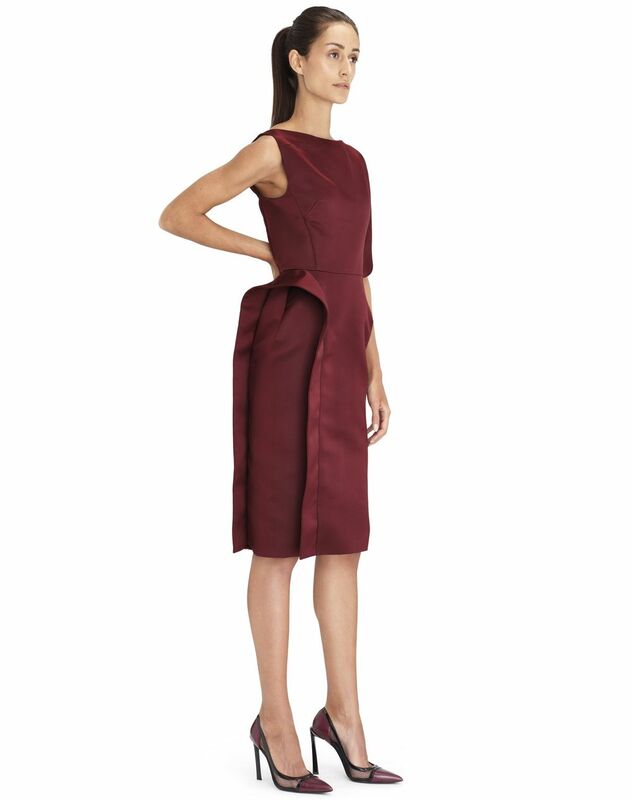 Model's measurements: Height: 5’ 10” Chest: 33.5” Waist: 23.5” Hips: 35” Model wears a size 4. Made in Slovakia.